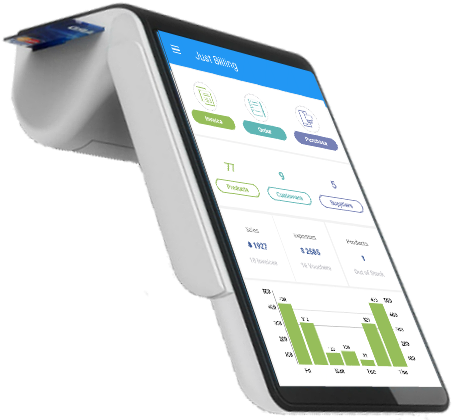 Just Billing app is a one stop simple solution for retail billing, inventory management, customer loyalty and expense tracking for single or multiple chain of retail and restaurants. This comprehensive billing software claims to solve the challenges faced by retail, food & beverages and distribution business today. “With this release we have made the Just Billing app more innovative with bar code simplification, voice command, enabling host of digital wallets, professional digital invoices, making GST ready which are inline with the Honorable Prime Minister’s vision towards Digital India and boost MSMEs.” said Koushik Shee, the CEO of EffiaSoft. With PM Modi’s vision for a digital India and digitized economy being viewed as the future, digital payment methods are going to be the preferred choice. With access to cash still being a problem after Nov 8, 2016 demonetization move, consumers are getting more comfortable paying by card or mobile wallet. Just Billing addresses the need of the hour, by enabling Micro & Small retailers to accept payment using any sort of payment mode including multiple Digital Wallets. The digital tax invoices and estimates generated from this mobile POS can be easily shared across with customer through various channels such as SMS, Email, or WhatsApp. The pos billing app can be installed on any smart phone or tablet and there is no need of any internet connectivity during retail billing. Unlike many other contemporary mobile based POS application available in the market, Just Billing retail billing software also has an inventory module. The retail pos app automatically alerts when goods need to be replenished. Merchants can place order to supplier electronically and update stocks. For ease of maintaining inventory and faster billing cycle, this mobile pos comes equipped with an inbuilt feature that transforms the mobile camera itself to a Barcode Scanner. The billing app is also capable of processing voice based command. “These innovations should definitely help Indian retailers and traders to use technology much easily and in day to day business operation more efficiently. No doubt, it will make them to be ahead of their competition.” remarked by Joydeep Sarker, CTO of EffiaSoft. The professional version of the billing app is capable of doing accounting automatically and generates industry standard reports on sales, purchase, tax liabilities, expenses with just few clicks. The upcoming GST billing in India is already an in-built feature in this mobile app. Earlier Just Billing app was launched in Beta in June 2016 and has already acquired global attention with 3000+ renowned customers across multiple countries. It’s super user friendly interface with high capabilities of business functions were already in the talk for last six months. With increasing number of android users, it is expected that, Play Store launch will make it accessible to more business owners.